****** LOOK AT THIS ONE! 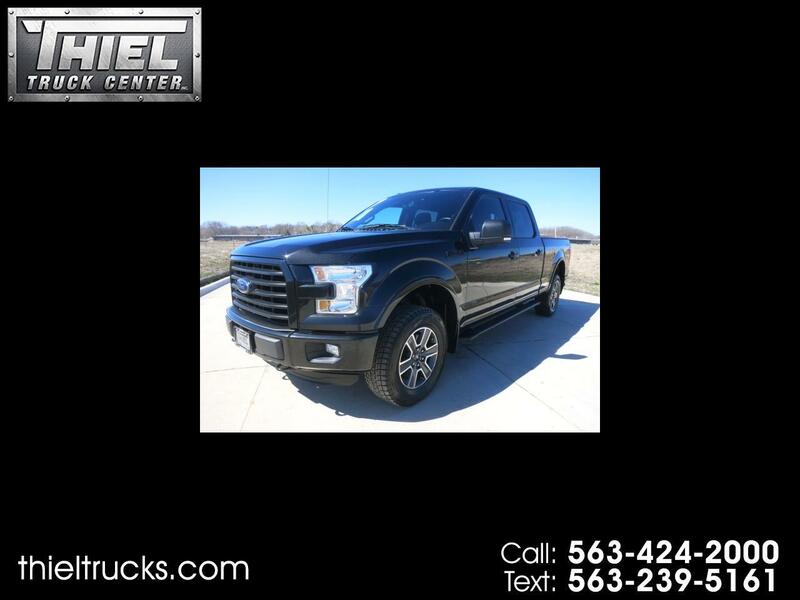 ***** JUST IN ***** SHARP LOOKING F150 **** 2015 Ford F150 Crew Cab 4x4 FX4 with all the right options and a hard to find 6.5 ft Bed. This F150 is decked out with options including the FX4 package, Black out appearance package, 5.0L V8 engine, Bucket seats, Center console, Center shifter, Navigation, Back up camera, Heated seats, Remote start, Step tubes, Tow package, Power pedals, Sync Bluetooth, and Custom Exhaust that sounds amazing. The F150 has just 48,000 miles and comes with the balance of the Factory Powertrain warranty to 60,000 miles. This truck is also a Carfax Certified Accident free truck and even comes with newer Bridgestone tires. There are plenty of F150's for sale, but there are very few with all these options and at a price like this. Call or Text us now to schedule your test drive.